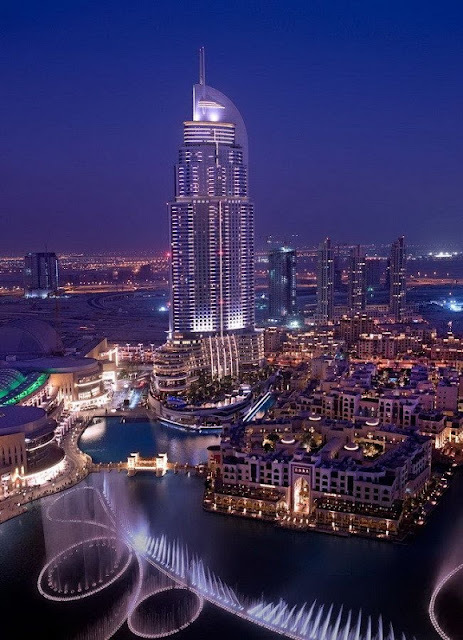 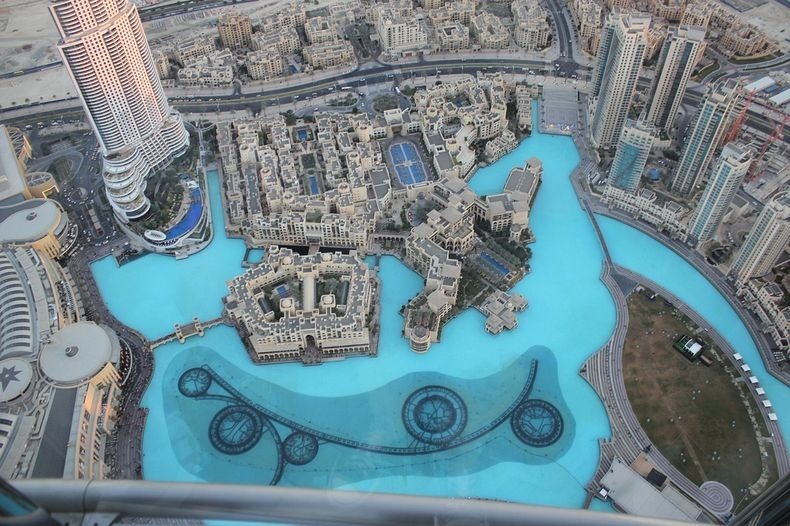 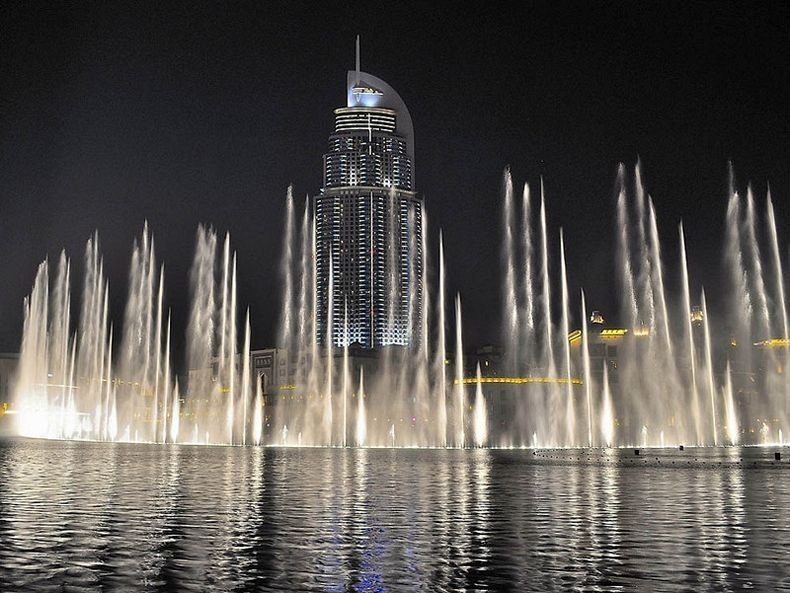 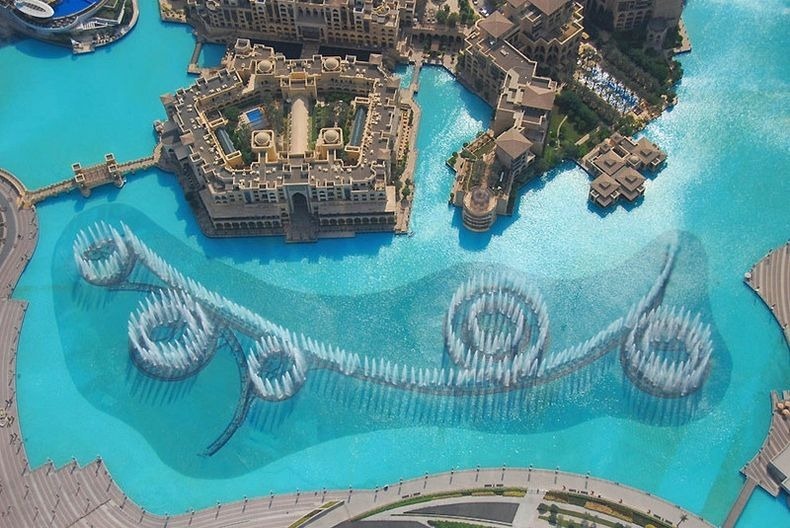 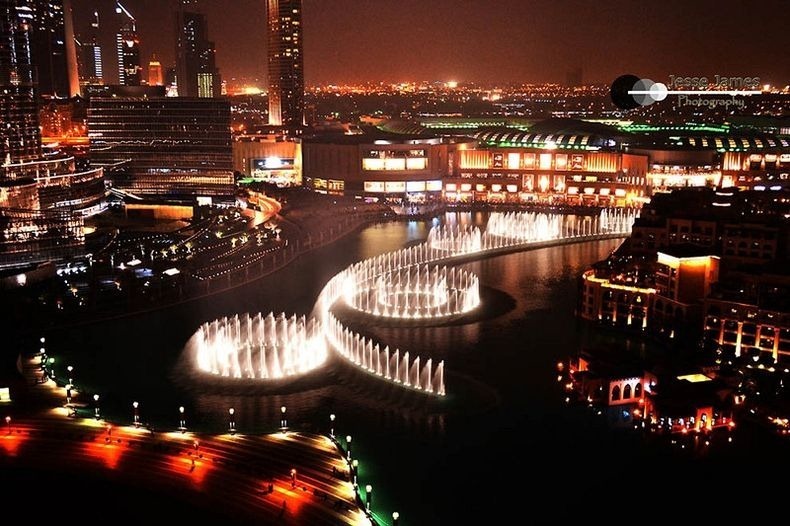 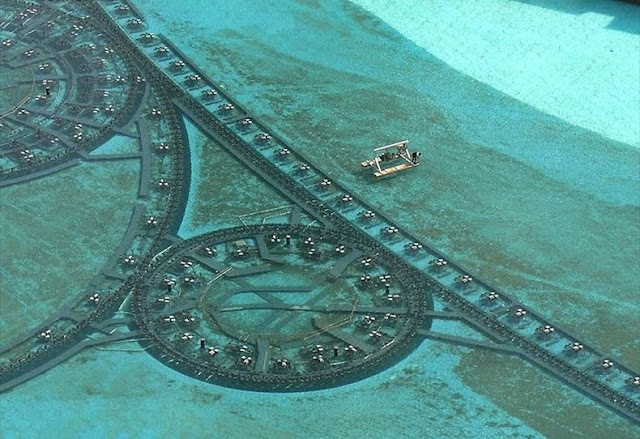 Set on the 30-acre Burj Khalifa Lake, at the center of the Downtown Dubai development in Dubai, the Dubai fountain can shoot 83,000 liters of water at any moment and water jets as high as 240 feet into the air. 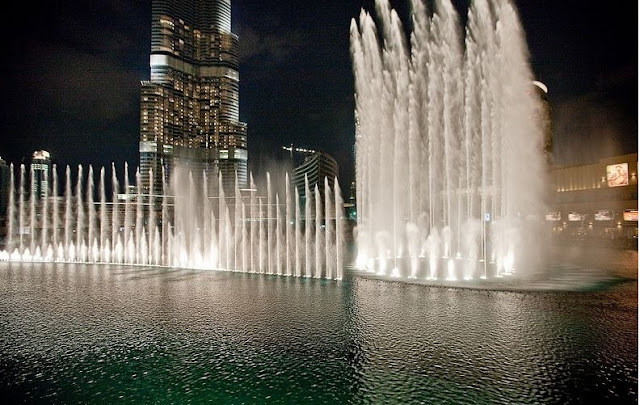 Illuminated by 6,600 lights and 25 colored projectors, the 900 feet long fountain can be seen from over 20 miles away. Because it takes a lot of time to build up enough pressure and energy to shoot water that high in the air, the super shooters are used the least during each show. The extreme shooters were used only once during the opening ceremony, after which they were disabled and no longer used in the shows.